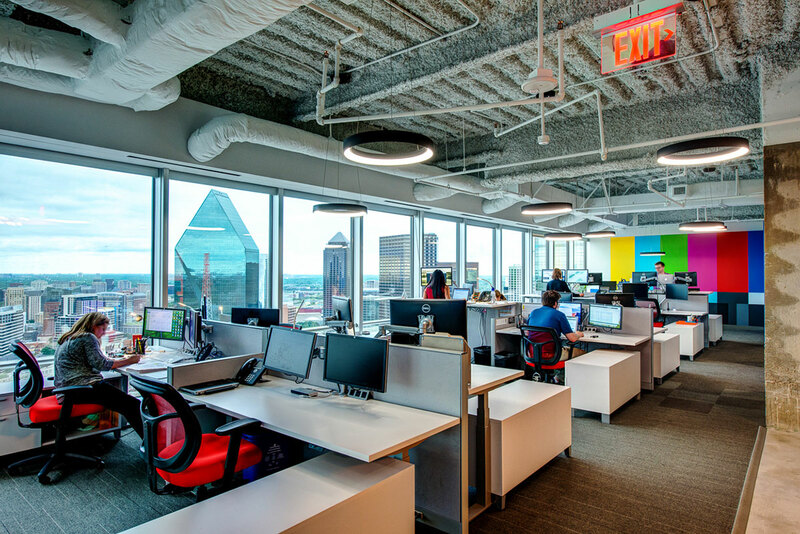 Gannett, a next-generation marketing and media company, wanted to expand its Downtown Dallas office space to accommodate growth. 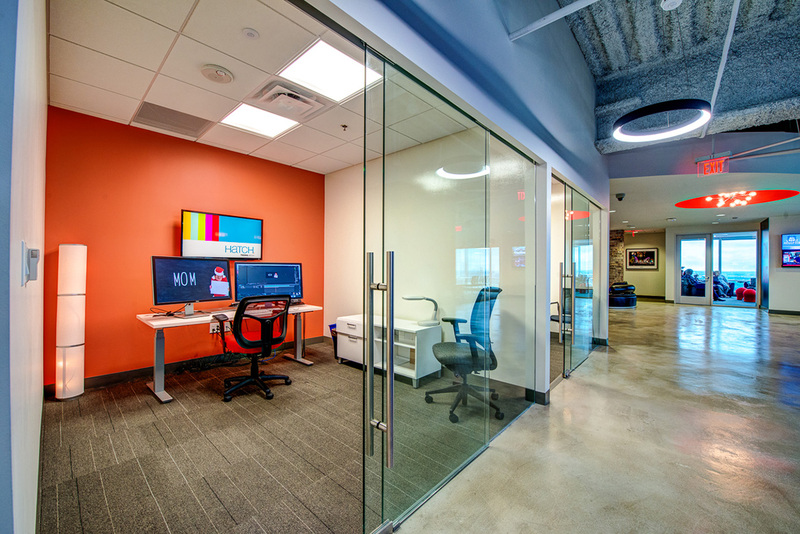 For the 10,000-square-foot project, Gannett turned to partners expe-rienced in open concept design and construction. Gannett selected Abstract Construction as the general contractor. 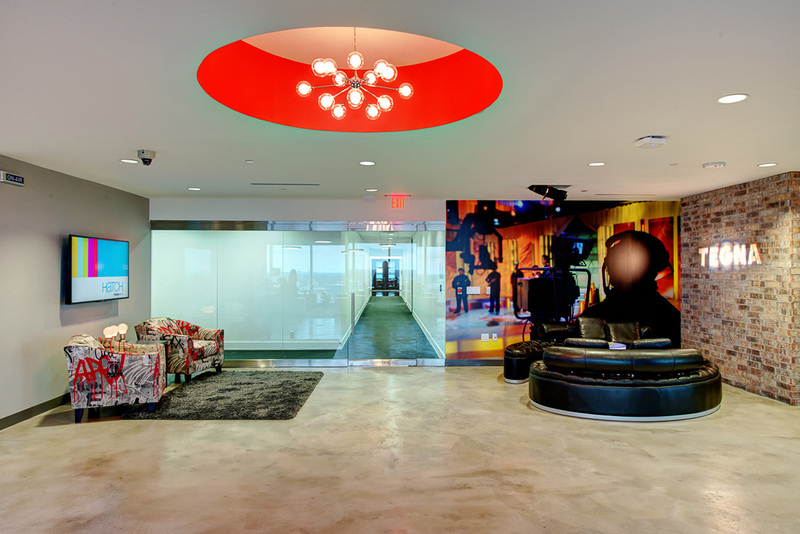 Good Fulton Farrell was selected as the interior designer and space planner, and CBRE brokered the real estate transaction and managed the construction. The project budget was $350,000. 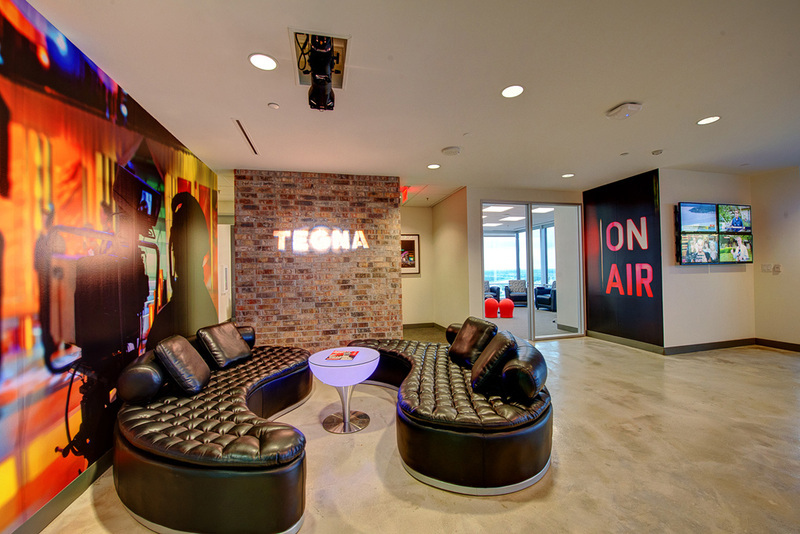 Open design office concepts are popular for media, advertising, and technology companies, but by their very nature, they can be challenging in terms of space planning and construction. All of the teams involved had to be in constant communication to ensure everyone was working toward the same vision. In addition, the planning had to be precise to ensure that the space would best promote collaboration and teamwork.The exposed ceilings also presented challenges as the team had to be mindful of acoustics, wiring, systems, and noise control. Lastly, because the building is situated in the heart of down-town Dallas, the teams had to be careful when coordinating the work in progress, as well as when loading and unloading materials. Abstract Construction was charged with realizing the client’s vision for an open concept design that best reflects the company’s hip, forward-thinking brand. 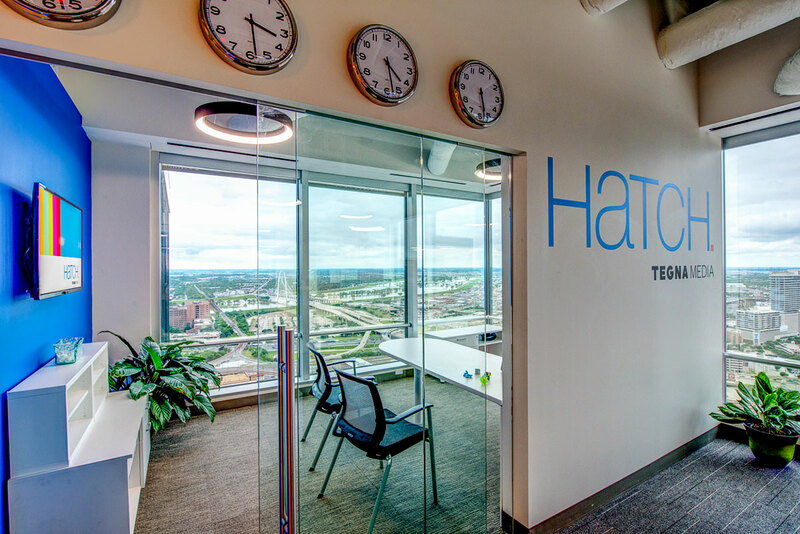 The team was charged with managing and su-ervising the project from start to finish, collaborating consistently with the client, designer, and other partners to achieve the right mix of innovation and pragmatism. 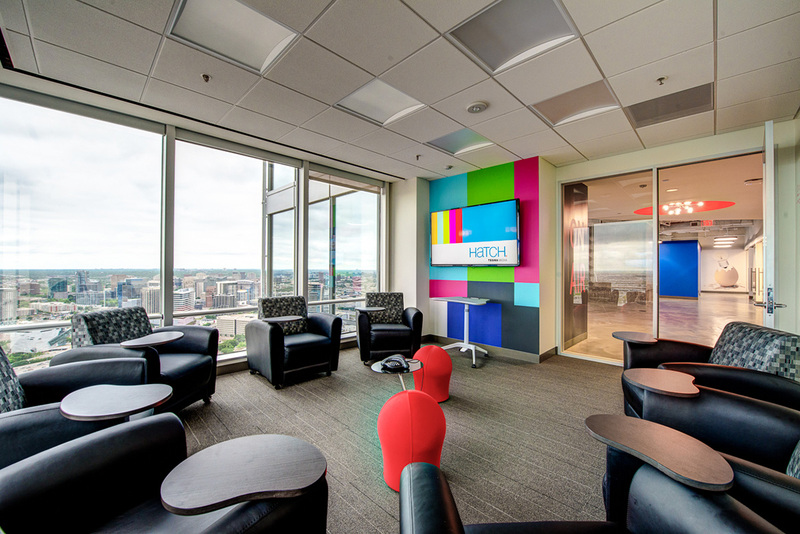 With exposed ceilings, brick walls, and plenty of eye-popping color, the design and construction successfully reflected Gannett’s innovative, tech-driven, modern brand. Abstract Construction completed the project on time and on budget, and everyone involved is happy with the results.